Very Good. 0684850133 ALL BOOKS SHIPPED WITHIN 1 DAY OF PURCHASE! Very Good. Trade paperback (US). Glued binding. 464 p. Contains: Illustrations. The first and only comprehensive history of the enormous contributions of women--black and white, famous and unknown--to the fight for civil rights in this country. 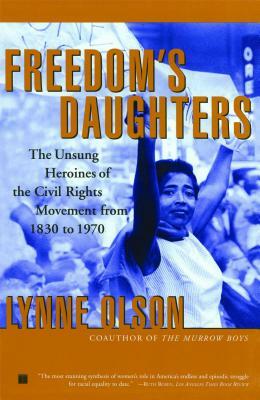 "Freedom's Daughters" spans four generations and introduces more than 60 women, some well-known, others never written about before. Dispatched, from the UK, within 48 hours of ordering. This book is in good condition but will show signs of previous ownership. Please expect some creasing to the spine and/or minor damage to the cover. Inscription on the first page, typically just a name but may include a dedication or a brief personal message. Damaged cover. The cover of is slightly damaged for instance a torn or bent corner. The dust jacket is missing. This item was a donation to Goodwill of Greater Washington. Thanks for your order from Goodwill of Greater Washington.